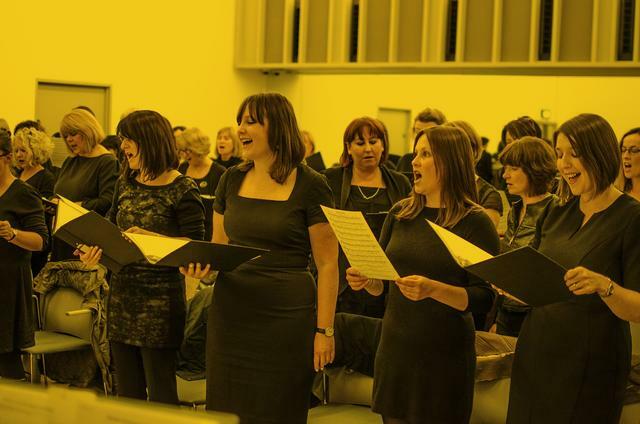 "The Big Belfast Choir is all about singing! We are a group of Northern Irish citizens who like to embrace life, let our hair down & sing! We have a choir option to suit everyone - scroll to find out more. !" "The sun is back and so are Belfast's popup choir sessions !! " "Fun, spontaneous and full of song. One night - One Song ! Following on from our successful pop ups in 2017, we will continue the vibe and learn one song and perform it at the end of the session in the trendiest part of town. " "What will it be This year, even if you 'take on me" we are "never gonna give you up' and we MAY jump through the 'eye of the tiger' to avoid 'losing my religion' even if that requires 'a little respect'... getting my drift 'sweet Caroline'?" "Your journey home will never be the same again !" "How it works? Get your song sheet, listen to the song, come learn it on the night, perform the song, Doors open at 5:30pm. Singing from 6pm. Tickets £7 at the door." Catch them on Thursday, May 31 at 5:30 PM - 7:30 PM, at The Dark Horse in Belfast, 30-34 Hill Street, Belfast BT1 2LB.